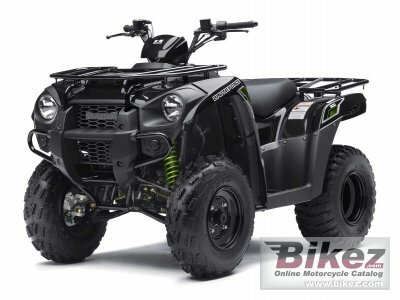 2015 Kawasaki Brute Force 300. Picture credits - Kawasaki. Submit more pictures. The Kawasaki Brute Force� 300 offers all of the strength, durability and functionality that defines the rugged nature of a Brute Force ATV. With its practical price coupled with excellent performance and dependability, the Brute Force 300 is built tough enough to handle years of chores on the farm and loads of fun on the trails. Price as new (MSRP): US$ 4299. Prices depend on country, taxes, accessories, etc. Ask questions Join the 15 Kawasaki Brute Force 300 discussion group or the general Kawasaki discussion group. Bikez.com has a discussion group for every motorcycle. Here you may find answers to common questions about the model. If you do not find what you are looking for, you can ask questions. Try out the 2015 Kawasaki Brute Force 300 discussion forum. You can sign up for e-mail notifications when other users answer you. If you have information about any technical issue related to this motorcycle, please leave a comment for other riders.